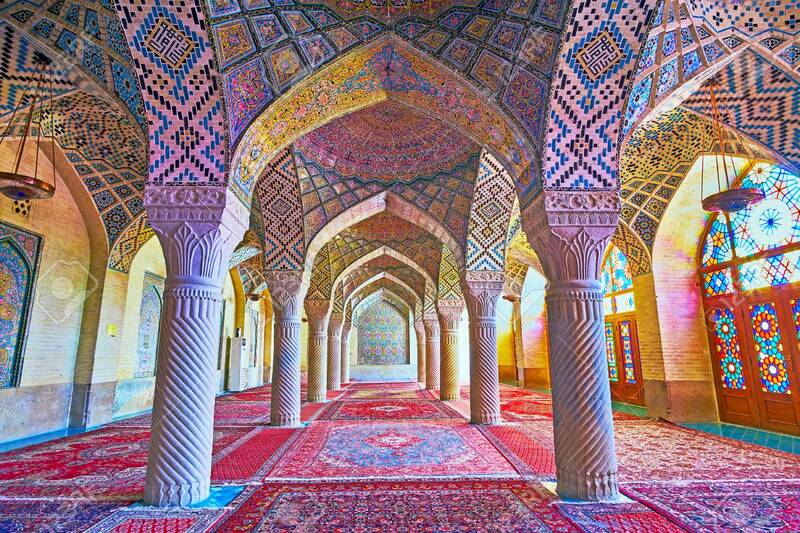 SHIRAZ, IRAN - OCTOBER 12, 2017: The Pink Mosque Is Famous For.. Stock Photo, Picture And Royalty Free Image. Image 91848326. Stock Photo - SHIRAZ, IRAN - OCTOBER 12, 2017: The Pink mosque is famous for its winter prayer hall, its perfect decorations attract tourists to visit and enjoy the architecture, on October 12 in Shiraz. SHIRAZ, IRAN - OCTOBER 12, 2017: The Pink mosque is famous for its winter prayer hall, its perfect decorations attract tourists to visit and enjoy the architecture, on October 12 in Shiraz.